If you would like to delve into a recycling project with your children then Nathan's Tubewhips may be ideal. It is all about recycling the inner tubes of cars and turning these into great stock whips. Your normal stock whip is made of cowhide and of course you have the beautiful roohide whips. 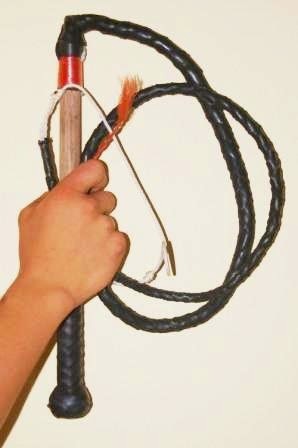 These tubewhips however are unique in that old inner tubes from cars are cleaned up, cut into strips and plaited into whips. Nathan's web site shows a wonderful display of images and is full of information. The best part though is that if you are looking for something to do regarding recycling for high school children this may get a few young fellows interested and enthusiastic enough to participate. Nathan was taught at home, is young and has had the fortitude to explore his options for a career. It is well worth exploring this area as a project for those who don't mind a 'whip cracking' opportunity as an educational outcome with a difference. His inner tube whips are just one way of implementing the 3 R's... Reduce, Re-use, Recycle.